So did Edwards invent Youth Ministry? Well we stated at the beginning of this series that Youth ministry is the ministry of the church aimed at those in the period of human development sociologically defined as adolescence. It is a ministry which must seek to educate young people in the Christian faith and convert young people to new faith in Christ. It is clear that Edwards had a ministry to those who were in a state of ‘adolescence’. With the changes in Puritan society that took place around Edwards’s time in Northampton, young people found themselves caught between childhood and adulthood and having particular needs and struggles. 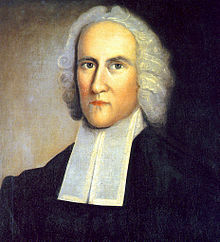 Edwards sought to engage with these young people through a variety of means but most notable holding special meetings for young people and also making changes to his preaching content and style in order to better engage with the youth of his day. Edwards may have had contemporaries who shared his concern for young people, however he seems to have pioneered a ministry to a group of adolescents who were in need of both conversion and education in the Christian faith. This is youth ministry at its core and so the claim that Edwards invented youth ministry is indeed defensible and should be acknowledged in any attempt to sketch a history of youth ministry. There must be appropriate and safe courses for the transportation and legitimate anticipating it. Chicago is doing best to giving this top essay writing reviews to each individual to protect itself from future mishaps. So be cautious and take much for such sort of things.